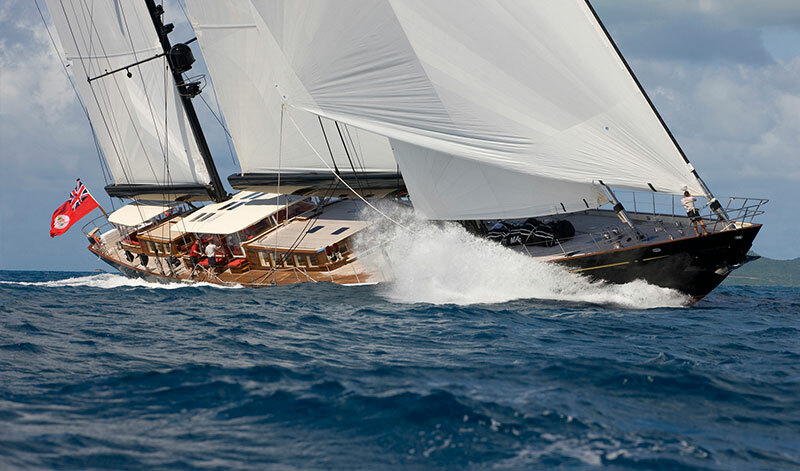 From the 18-21 June 2014 the Bay of Palma de Mallorca will be alive with a host of colourful sails which will fill the horizon, as 25 of the world’s best known superyachts battle it out for 4 days in the ever popular regatta that has been running since 1996. The event offers the ideal combination of professionally managed yacht racing and a relaxed, informal social programme enjoyed by everyone, and is a favourite with yacht owners, friends, captains and crew who visit Palma de Mallorca annually for the competitive sailing and of course the partying. Ranging in size from 24m to over 50m, with new build yachts incorporating the latest technology and classic designs dating back to the 1930´s, this spectacular collection of some of the largest racing superyachts in the world will be a stunning sight in Mallorca once again! Two of the latest entries are the 40m Royal Huisman built Maria Cattiva designed by Bruce King and a new boat to the event, the 28m Nautor Swan, Odin drawn by Frers Yacht Design. Maria Cattiva is a seven-time participant and winner overall at the regatta in 2012. The five iconic J Class yachts will reunite for a re-match on last year´s incredible performance with races scheduled for four days, and the J’s racing exclusively against each other on the opening Wednesday. The Superyacht Cup has gained valuable support this year from significant new partners, the five star St Regis Mardavall Mallorca Resort as Preferred Hotel Partner and five Platinum Partner shipyards. 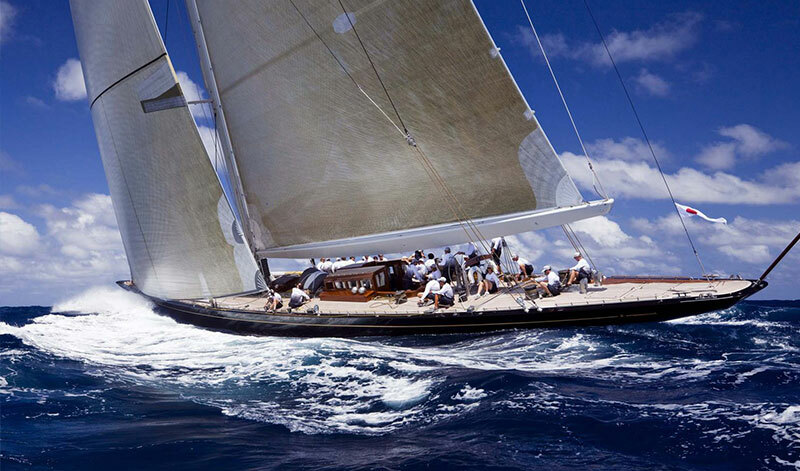 A group of probably the best known superyacht builders in the world namely; Alloy Yachts, Holland Jachtbouw, Perini Navi, Royal Huisman and Vitters Shipyards will proudly host the Mag 5 Race Day on Friday the 20th of June. And the spectacular schooner Borkumriff IV has also confirmed they will join the impressive line up of yachts for this year’s Superyacht Cup. 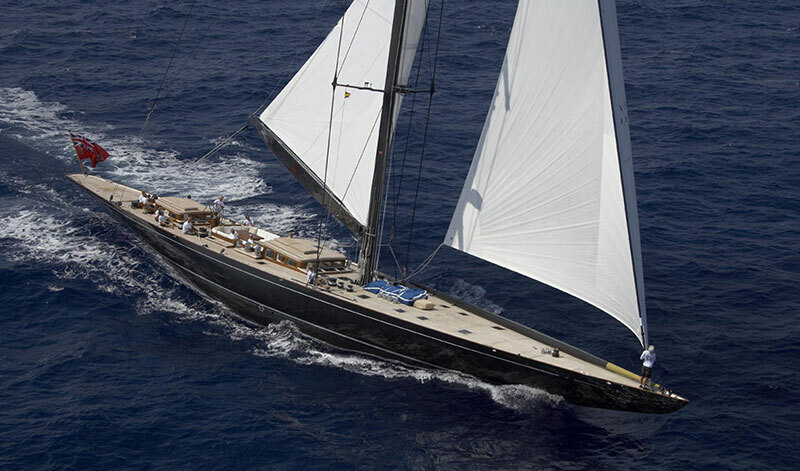 Designed by Dykstra Naval Architects and built by Royal Huisman, she was launched in 2002 from their yard in Holland. At 51metres overall, with a displacement of almost 300 tons and a mast height of over 50 metres (166 ft), Borkumriff IV is the largest yacht taking part this year.